We won't tell you when or where, other than it's somewhere in the county sometime next week. The PGPD's Vice Unit will conduct a prostitution sting that targets those soliciting prostitutes and we'll tweet it out as it happens. 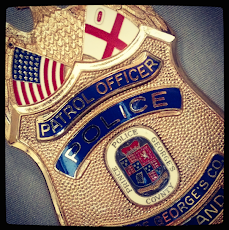 From the ads to the arrests, we'll show you how the PGPD is battling the oldest profession. Suspect photos and information will be tweeted. We're using this progressive, and what we believe unprecedented, social media tactic to warn any potential participants that this type of criminal behavior is not welcome in Prince George's County. You can follow @PGPDNews and search #PGPDVice as we take you along for the takedowns. Why are you doing that? What harm are they doing?